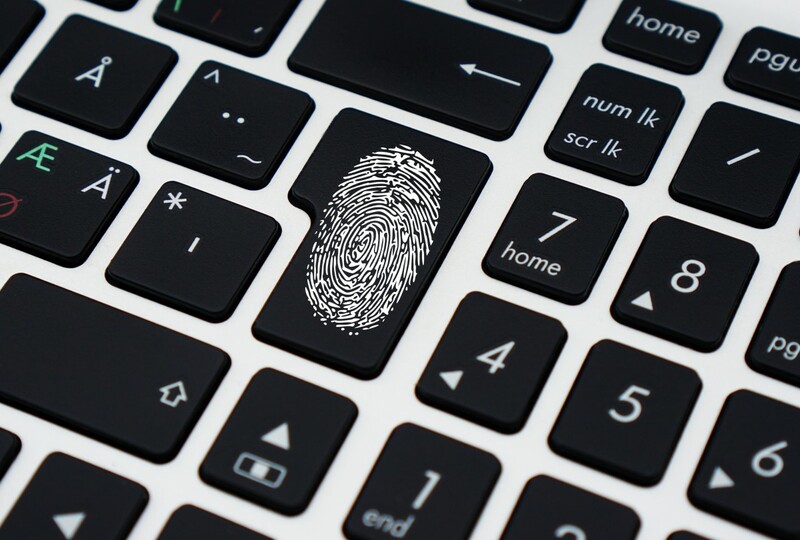 Should You Prioritise Multi-Factor Authentication? Will Microsoft Teams Ever Replace Outlook? Inspiring new ways of teaching and learning with Cisilion’s Surface as a Service. Cisilion has been identified as one of London Stock Exchange Group’s 1000 Companies to Inspire Europe. Three key reasons how Cisilion's Flip2Flex will transform the way you collaborate. Cisilion have been shortlisted to defend our Best Enterprise Vertical Market Solution title at the Comms National Awards. Cisilion has been shortlisted to defend the prestigious CRN Corporate Reseller of the Year title at the CRN Channel Awards. Our CSO put the brand new Surface Go through its paces to see how it performs across a busy working week. Cisilion's CSO breaks down Microsoft's statement that Teams is now a complete meeting and calling solution. Cisilion's Data Centre Solution Architect talks us through your options when vSphere 5.5 reaches its end of support. Surface is the powerful, next-generation device that delivers the ultimate in versatility, performance and design for students. We were lucky enough to have a Marketing Intern join our London marketing Team in August. Cisilion spoke with Cisco Cyber Security Specialist, Ali Wadi, to highlight why your business needs to sign up for our Umbrella trial. Cisilion’s Marketing Director Hannah Cunningham has been shortlisted for two CRN Women in Channel Awards. Returning back to the office after a packed week in Vegas, our team share their initial key takeaways from Microsoft Inspire 2018. For once, what happens in Vegas will not stay in Vegas, as our CSO Rob Quickenden shares his initial highlights of Microsoft Inspire 2018. Cisilion has been chosen as a launch partner for Surface Go - Microsoft's smallest, lightest, most affordable Surface yet. 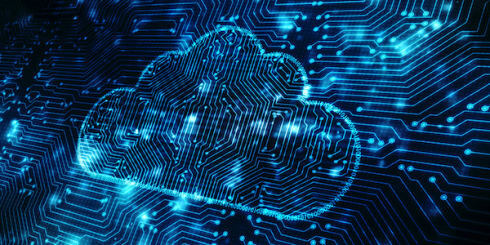 Cisilion added the G-Cloud 10 to its list of public sector frameworks, offering an services including Cloud Hosting, Cloud Software, and Cloud Support. Cisilion won the coveted title at the Computing Tech Marketing & Innovation Awards ceremony thanks to our impressive Innovation Centre Experiences campaign. At Cisilion, our mission is simple – to transform and connect businesses through next-generation IT infrastructure. Cisilion serves a global client base across more than 70 countries. This is us, #TeamCisilion. Cisilion has won the coveted Marketing Velocity title at this week’s Cisco Marketing Velocity Awards thanks to our impressive Innovation Centre Experience marketing campaign to launch a brand new menu of two-hour interactive customer experiences. Microsoft today have announced a “teaser” for its new Surface Hub 2, just a day before UC Expo and two months after announcing it had stopped producing the original Surface Hub. The new Surface Hub 2 is a sleek 50.5-inch 4K+ display. Hot off the heels of recent award wins, Cisilion have been announced as finalists for Enterprise ICT Solution at the Comms Business Awards and Marketing Strategy of the Year in the Computing's Tech Marketing & Innovation Awards. Cisilion provides a true end-to-end customer care solution. Cisilion integrates the solution into your business and provides a robust cloud infrastructure. We work with the largest collaboration vendors with gold status accreditations. Cisilion won the coveted title at last night’s Comms Dealer Sales & Marketing Awards ceremony. 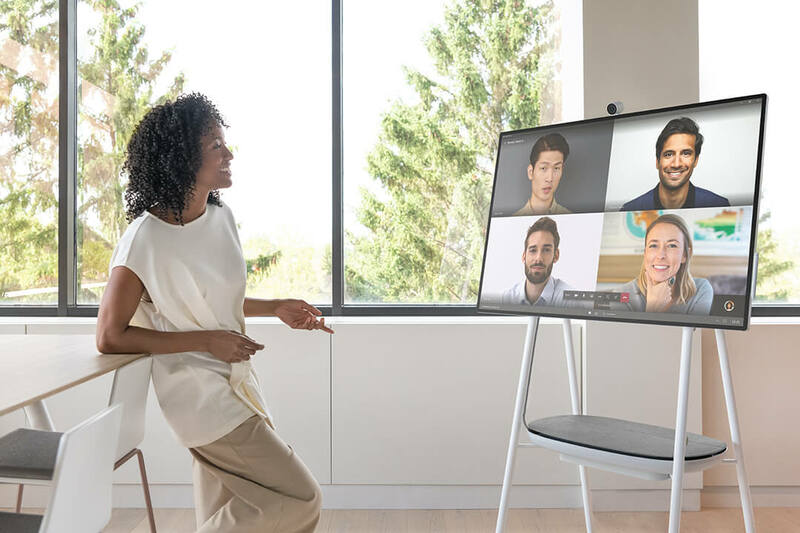 Cisco’s Webex Board plays a key part in my IC meetings, so it’s no surprise that my customers always want to know more about it. This week, key members of Cisilion’s Microsoft Practice joined hundreds of partners at Twickenham for Microsoft’s Partner Day. With schools under constant pressure to look for the most low-cost option, how do you avoid solutions that appear to be affordable up front, but lead to hidden costs in years to come? Did you know, Microsoft allows admins to “simulate attacks” to test your defences and how likely your employees are to click on phishing links without actually putting your business at risk? Cisilion won the coveted title at last night’s awards ceremony thanks to our impressive Cisco Meraki SD-WAN deployment with the iconic retail brand hmv. Cisilion have re-energised our Data Centre practice in the shape of new consultants, renewed DellEMC partnership and today, we are proud to add a new Microsoft Gold competency in Data Centre. Hot off the heels of being shortlisted in the National Technology Awards and IT Europa Awards, Cisilion have been announced as finalists for Reseller Best Marketing Campaign in the Comms Dealer Sales & Marketing Awards. For months now, we have heard with increasing urgency about the need to prepare for the General Data Protection Regulation (GDPR) coming out of the European Parliament. Tired of all the GDPR noise? Here is what you need to know. Cisilion have been shortlisted for both Connected / Mobility Solution of the Year and Enterprise Solution of the Year at the upcoming IT Europa Awards 2018. This is thanks to our successful Cisco Meraki SD-WAN deployment for retail icon hmv. Just over a year since it’s official launch, Microsoft Teams has won big at Enterprise Connect 2018, taking home the show’s top prize: “Best of Enterprise Connect”, based on the reimagined vision for Teams as the hub for teamwork in Office 365. Cisilion is proud to announce that it has re-achieved two prestigious Cisco accreditations, holding its Gold Certification and Master Collaboration Specialisation in the UK status. To earn Gold Certification, Cisilion had to meet rigorous standards. A year since it was first released, Microsoft Teams has become a crucial hub for teamwork. We regularly work with customers to build a modern workplace that suits their needs, Microsoft Teams has quickly become an essential part of this process. For those interested in adopting HCI, I like to start with Dell EMC. Not only is Dell EMC #1 in Hyper-Converged, but its VxRail Appliance is built on the world’s best-selling Dell EMC 14th Generation PowerEdge server platform. Cisilion have been shortlisted for Reseller of the Year at the upcoming National Technology Awards 2018. The awards celebrate the pioneers of new technology and companies who have made outstanding technological contributions. With the exponential increase in the number of data breaches, combined with fresh regulatory compliance such as GDPR immanent, Microsoft have made another leap forward in achieving their goal of providing a holistic information protection strategy. At Cisilion, we are always looking for fresh ways to create a better collaboration experience for our customers. Our vision is to create a seamless user experience that keeps everyone connected and makes sure tech tools are easily adopted. One month on from the implementation of MiFID II, the largest realignment of regulatory legislation in the European financial sector for over a decade. To stay relevant in a digital-first world, networks need to evolve from a highly manual, time-intensive, often static approach to one that’s designed with business outcomes in mind. This week on The Cisilion Blog we catch up with Sam Furnica, one of our Senior Security Consultants and today we're diving into Cisco Umbrella, enjoy! As a Microsoft Gold Cloud Platform Partner, our customers are increasingly choosing Microsoft Azure as their preferred platform for their “modern Data Centre”. Cisilion is pleased to announce that it has been awarded Microsoft Gold competency in Cloud Platform, solidifying its position as a leading Microsoft partner in cloud solutions. As you would have heard in the news, yesterday, design flaws in Intel, AMD and ARM processors made headlines and pushed Microsoft, Intel and others to quickly address the growing security concerns. Microsoft was one of the first to act. Cisilion have been shortlisted for Best Medium to Large Enterprise Managed Service Provider 2018 at the Service Desk Institute’s IT Service & Support Awards 2018. We are delighted to partner with Tata Communications to extend our Global Cisco Collaboration Cloud reach. Cisilion is delighted to have been named a supplier of the new Crown Commercial Services Technology 2 (RM3804) Framework agreement, replacing the expired RM1058 framework. As of the 19th November any new contracts, improved WebEx services hybrid services and Cisco's Next Generation Meetings Platform 'Spark' will be delivered through highly skilled partners. Partner with Cisilion today. Why do I still need WAN Optimisation for my Office 365 workloads if I have Azure ExpressRoute? Ever since Microsoft announced the general availability of Azure ExpressRoute for Office 365 in September 2016, our customers are asking if and why they still need WAN Optimisation Technologies. Cisilion are the only IT provider demoing Cisco Webex Virtual Reality (VR) in our Central London Innovation Centre. Cisilion win Best Enterprise Vertical Market Solution at the Comms National Awards 2017, for our impressive legal portfolio and successful deployments with law firms such as Bird & Bird. Last chance to register for Cisilion's Secure Your Sensitive Data with Microsoft EMS event hosted on 28th September in our Central London Innovation Centre. Office 365 Team users can now add people from outside their company to a team, so that these "guests" can participate in chats, join meetings, collaborate on documents. Cisilion have become a member of the Service Desk Institute to strengthen our customer service and industry knowledge. Cisilion have been shortlisted in four categories at two different Channel Awards: the CRN Channel Awards and Comms National Awards 2017. Microsoft and Amazon announce partnership to combine their AI devices: Cortana and Alexa. Cisilion are a finalist for VAR of the Year at the UK IT Industry Awards 2017 thanks to our impressive growth and major new logo wins. Microsoft has published its latest bi-annual Security Intelligence Report (SIR), volume 22. Download it to find out about the latest threats to endpoints and the cloud. hmv is transforming its 130 retail sites with Cisco Meraki SD-WAN. This deployment will replace their legacy network which is no longer fit for purpose. Cisilion has been recognised as a Palo Alto Networks NextWave Gold Partner 2017 after investing heavily in our security offering. This new cybersecurity report contains emerging research and perspectives on with contributions from Cisco and its partners. Download it now! #TeamCisilion is attending this year's Microsoft Inspire - Daniel Jones from our Sales team shares his thoughts on Day 2. Looking for a new challenge? Want to join a fun, growing and global company? #TeamCisilion is attending this years Microsoft Inspire conference at Washington D.C. Our Microsoft Account Director Daniel Jones shares his thoughts. Cisilion are excited to add another Microsoft competency into our portfolio - Microsoft Cloud Platform Competency. Cisilion have teamed up with our key vendors: Cisco, Microsoft, Riverbed and Dell EMC, to bring you the hottest IT news each month. Cisilion won Enterprise Reseller of the Year 2017 at the Comms Business Awards, thanks to our impressive new enterprise customer portfolio and deployments. Our Data Centre Practice Lead William Taylor talks about the key highlight from Dell Emc in June 2017. Ransomware attack on your mind? Our CTO Alex Hooper describes how the Cisco Umbrella can protect your company from ransomware attack. What is Azure Site Recovery and why should you care? Read how Azure Site Recovery can enable business continuity and prevent disasters, as told by Cisilion's Chief Strategy Officer Rob Quickenden. Cisilion's key partner Riverbed are hosting a webinar on May 23rd. COvering all things Wireshark troubleshooting skills. Hosted by Riverbed’s CTO Hansang Bae. Cisilion receive new Microsoft Cloud competency in Enterprise Mobility Management covering all enterprise mobility and advanced security services available. Cisilion has been named finalist for 'Reseller of the Year - Enterprise' at the upcoming Comms Business Awards 2017. Is the WannaCry Outbreak over? Our Chief Strategy Officer shares his thoughts on the recent WannaCry ransomware attack and the next steps for your business to be protected in the future. Microsoft is incorporating Artificial Intelligence into everything they do. Read the full story as told by Cisilion's Chief Strategy Officer Rob Quickenden. Why is Cisco acquiring Viptela? Cisco just announced its acquisition of Viptela to expand its SD-WAN offering. Read more about it here, as told by our CTO Alex Hooper. Cisilion's key partner, Dell EMC gives its XtremIO an overhaul. Read the Dell EMC highlight from May written by Cisilion's William Taylor. Cisilion will be speaking with Willis Towers Watson at the Microsoft Theatre on 17th May at UC Expo 2017. We will talkabout the success of Willis Towers Watson's Skype for Business deployment and how it's facilitated the evolution of the workplace. What is Software Defined Datacentre? What is Software Defined Data Centre? Why is it crucial for your business? Read our blog to find out. Cisilion has been crowned ‘Reseller Best Marketing Campaign’ in Comms Dealer Sales & Marketing Awards 2017. Cisilion is the only Systems Integrator in London with both the Cisco Webex Board and Microsoft Surface Hub in our state of the art Innovation Centre. Come and check them out side by side: Webex Board and Surface Hub! Cisilion becomes one of only eight UK Partners to become a Cisco Master Collaboration Partner - the highest level of collaboration expertise. Cisilion's brand new monthly webinar series, 'Cisilion's Tech Update', will launch in May 2017. The live webinars will cover the hottest topics from our key vendors Cisco, Microsoft, Dell EMC and Riverbed. Cisilion alongside Microsoft Azure Information Protection can help you become GDPR compliant, as the new regulation kicks in next year. Dell EMC’s leading turnkey hybrid cloud platform is now available on the only HCI appliance jointly developed with VMware. Register today for Cisilion's #EdTech workshop, a demo customised to your education facility's IT needs and requirements. Cisilion receives Dell EMC Platinum Partner Status, as the vendor revealed its new partner program in March 2017. We are excited to expand our storage and datacentre practice. Cisilion are now a certified Microsoft Surface Hub Reseller. We can sell, deploy and configure Surface Hubs and related accessories, as well as provide maintenance, support, implementation and user adoption services. Announcement: Cisilion are thrilled to be shortlisted for Best Company To Work For, Best Marketing Campaign and Best Customer Event at the Comms Dealer Sales & Marketing Awards 2017. Microsoft just made two huge new features "Generally available" for all users in all Office 365 regions for Skype for Business Online. How modern are law firms? Cisilion's Modern Lawyer Challenge was taken by 80 IT Decision Makers from the world's leading law firms. Find out the results of the survey here by downloading our infographic. Register here for Cisilion's complimentary, one-to-one SD-WAN workshop to reduce IT complexity and find the best SSD-WAN solution for your business. Is your business prepared for Microsoft Teams? Are you prepared for Microsoft Teams? Read the guidelines from our CSO Rob Quickenden. Find out the full description and benefits of Dell EMC's VxRail solution. Do you enable the modern lawyer? Cisilion were a key sponsor at the British Legal Technology Forum 2017. Have a look at what our CTO Alex Hooper presented at the event. Are Hybrid Clouds Real or Imaginary? Cisilion will be a panelist at the CloudExpo 2017. The panel will discuss the hybrid cloud and its requirement for businesses. Cisilion have been shortlisted for 'Best Enterprise Solution' at the IT Europa Awards 2017. The Awards will be hosted on March 30th in London. Download Cisco 2017 Annual Cybersecurity Report to learn security industry insights and key findings taken from threat intelligence and cybersecurity trends. Are you prepared for a new era in privacy regulation? The General Data Protection Regulation (GDPR) will take effect in 2018. Where are you on your GDPR journey? Is your Avaya estate future proof? Avaya recently filed for bankruptcy protection, find out more about alternative contact centre solutions for your business. The British Legal Technology Forum 2017 hosted on 14th March is fast approaching and Cisilion are a key sponsor. Request a complimentary pass to attend. Cisilion CSO Rob Quickenden's blog on phishing attacks - how they are curated, why they are successful and how to defend your organisation from them. Sign up for a ATP pilot. Cisilion have been shortlisted for Corporate VAR of the year at the the PCR Awards 2017. Cisilion's Marketing team attended the Tech Trends 2017 event, where key tech journalists from the UK press predicted what to expect in the upcoming year. Read the highlights here. Cisilion's January 2017 update with Dell EMC, where VMware and Dell EMC join forces on new VxRack SDDC Rack Scale Hyper-converged systems. Riverbed are now offering Riverbed SteelCentral NetIM, a holistic solution for managing modern dynamic IT infrastructures, offering discovery, monitoring multiple domains, and enabling IT Operations to easily troubleshoot infrastructure issues. Microsoft takes part in the connected car game, but in the form of a cloud platform. The new Connected Vehicle Platform will go live later this year. The Cisco and Apple partnership was established a year ago. The two tech giants finally reveal what we can look forward to. Highlights shared by Cisilion's CTO, Alex Hooper. Paul Griffiths, Technical Director at Riverbed wrote a guest blog about what exactly is SD-WAN and how can it benefit your business. Want to get GDPR Compliant? Cisilion and Azure Information Protection can help your organisation control and help secure email, documents and sensitive data that you need to share outside your company walls. Cisilion successfully deployed our first full Cloud PBX with PSTN Conferencing and PSTN Calling all through Office 365. This initial project, which followed the Skype Operations Framework. Microsoft announced that Azure and Office 365 services are available from it's UK data centres. Yesterday, Microsoft announced that it has expanded on this availability of Azure in the UK by bringing several new services. CRN Top VARs is a report into the fortunes of the 100 biggest UK resellers. Once again Cisilion are featured in the 2016 CRN Top VARs list with revenue swelling 20% and operating profit more than doubling. On Tuesday 13th December, Cisilion will be co-hosting a live webinar and Q&A with Microsoft around Microsoft Cloud. #TeamCisilion showed support to Shooting Star Chase, our charity of the year, by helping them prepare for their annual Christmas concert. Windows 10 “Creators Update” will bolster a new wealth of security capabilities to better protect, defend and respond to threats on networks and devices without the need for endpoint protection. Dell EMC have launched a new "All Flash Isilon Storage" which was formerly known as “Project Nitro”. The new version delivers better performance. The latest news from Riverbed includes a new version of their SteelCentral product, which addresses the needs of enterprises. Our CTO Alex Hooper shares Cisco's new announcement around its new approach to endpoint security. Cisilion gets awarded Microsoft P-seller status. Through the P-Seller Programme - Cisilion and Microsoft will use their joint expertise and commitment to build a successful co-selling alliance across predefined and priority workloads. Cisilion are a key sponsor at Europe’s largest legal IT conference, British Legal Technology Forum 2017. Following a big launch party last night on November 10th, Cisilion has launched its new Innovation Centre equipped with the newest technologies from key partners: Cisco, Microsoft, Riverbed & Dell EMC. Find out the key product highlights from DELL EMC since their merger in September 2016. Find out the key highlights from Riverbed in October 2016, including announcements around SteelConnect, SteelCentral and SteelFusion. This week, Microsoft unveiled the upcoming Microsoft Teams Service which naturally will form part of Office 365. Cisilion deployed a full collaboration platform at Aspen, enabling the global insurer to achieve impressive cost savings and extra productivity through reducing operational costs & global travel. Cisilion strengthens its collaboration offering by adding Pexip to its partner portfolio alongside existing vendors including, Microsoft, Cisco and Dell EMC. Cisilion and SIPCOM announce new strategic partnership. Cisilion's expertise perfectly compliments SIPCOM’s UC and voice cloud services offerings. Cisilion helps Aspen empower their workforce across the world through the deployment of the Cisco Unified Communications and collaboration suite, transforming the way they work. Office 365 provides security intelligence like no other, and helps businesses protect, detect and respond to threats. Cisilion connected Aspen's workforce across the world with global Cisco Unified Communications and Collaboration deployment, transforming the way they work. Microsoft showcased its newest features for Skype for Business at their Ignite conference held in Alaska last week. Microsoft reveals new enhancements, products and services which focus more on security, productivity and intelligence - all powered by Microsoft's Cloud. As a key partner, Cisilion would like to invite you to join Riverbed’s Software-Defined Branch Roadshow, showcasing the launch of their new SteelConnect solution. Microsoft are readying better support for Multi-National Office 365 users to provide better media quality by reduced latency. 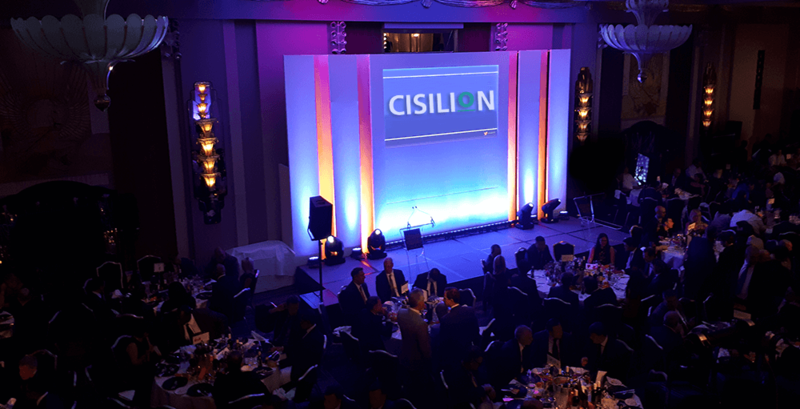 Cisilion has received recognition for global UC deployments with Aspen Insurance and Willis Towers Watson by being shortlisted in three categories at the Comms National Awards 2016. Cisilion has been shortlisted for Corporate VAR of the Year at the CRN Channel Awards 2016. Dropbox is the latest company to have its users' data dangled in harm's way after a major cyber attack involving 68 million personal records. Cisilion has been certified to sell Cisco Meeting Server (Acano) solutions to help our clients on their video operability journey. Cisco Gold Partner Cisilion strengthens its position as a leading global system integrator with the launch of its new website. The re-launch comes after a significant year of growth, supporting Cisilion’s ever-increasing client portfolio. Cisco released their Annual Security report in July 2016 - read about the five key highlights. Your business already runs on applications, but the number, diversity, and scale of those applications are set to increase exponentially. According to Cisco (2015), 13 billion connections today will become 50 billion connections by 2020. More than just a visual element, collaboration via video will benefit your business in several ways. Below are the five key things how video can help transform your business. Cisco has been positioned as a leader for Unified Communications in the Gartner Magic Quadrant that came out in July 2016. As a Cisco Gold Partner, Cisilion has the best of breed Cisco UC technology. Cisilion now offers an annual, complimentary application performance health check to our existing Riverbed customers and prospects. This service is recommended to ensure that you get the very best out of your investment in Riverbed and Cisilion. Your business is transforming, your Innovation Centre experience is transforming too. Scheduled to be unveiled on 10th November Cisilion will re-launch its brand new Innovation Centre. Come and check it out by registering your interest today. Cisilion’s CFO Chris Morris highlights the key IT Tools in his daily role that have helped with cutting company costs and increasing productivity. How can HR Directors benefit from IT solutions? We interviewed the HR Director from one of our large insurance customers, to see how IT technology has helped empower her workforce and helped the company as a whole. EMC has opened a new executive briefing centre in Brentford, London. Interested to attend? Please speak to your Cisilion account manager for a booking, or alternatively e-mail info@cisilion.com for more information. 9 Years in a row, Riverbed SteelHead still stands miles ahead of the competition in the top right of the Gartner leaders quadrant in the intelligent WAN optimisation category. At less than £5 per user per month, EMS provides an identity-driven security solution that provides a truly holistic approach to overcoming the identity and user logon issues associated with companies who need to use multiple Cloud/SaaS applications. Sign up for the 30-day trial, and experience the real benefits Purple brings to business WiFi. Cisilion offer a full end-to-end Purple integration service for only £995. Cisco Smart Energy provides best energy management practices across the enterprise that gives you ROI saving in days. The core focus of the conference was to promote the many new innovations across Microsoft Cloud - connecting Office 365, Dynamics 365, EMS and Azure enabling collaborative and efficient business operations and workflow with enterprise grade security. One of our customer's is seeing savings of over $2.5m a year by moving to Skype for Business PSTN Conferencing. Provided by Microsoft, the PSTN-Conferencing add-on provides geo-dialling across more than 90 countries. #TeamCisilion will be participating in Brighton’s Color Run on 17th September this year. We would love your support in helping us to reach our target. Software-defined is a very hot topic for EMC - almost every EMC technology from now on will have a virtual platform addition, which will give customers the maximum amount of flexibility. The Microsoft Cloud is one of the biggest catalysts facilitating business change. At Cisilion we help you achieve that change with programmatic approach to design and deployment, coupled with our superior user adoption and support services. Looking to upgrade your Networking Solution? Enable the next generation customer experience, by joining Cisilion at a Cisco Meraki webinar. Witness live demos of this cloud management platform and receive a Meraki access point for free. TeleWare has today announced a new partnership with leading global system integrator Cisilion. This announcement builds on TeleWare’s & Cisilion's ambitious growth plans. We are thrilled that Cisilion, Cisco’s number one partner in video, has deployed our first ever Cisco Immersive Telepresence unit at Aspen Insurance UK HQ. I have Azure ExpressRoute – Why do I still need WAN Optimisation for my Office 365 Workloads? Ever since Microsoft announced the general availability of Azure ExpressRoute for Office 365 last September, our customers who use WAN Optimisation have been asking if and why they still need WAN Optimisation Technologies. The Cisilion global diaries are back in one of our all-time favourite cities (and offices) – New York! Read about our Chief Strategy Officer Rob Quickenden's trip and how he managed his workload across different offices and time zones. Cisilion welcomes Palo Alto Networks to its extensive portfolio of security vendors. This status recognises Cisilion's ability to design, sell, deliver and support Palo Alto Networks next-generation security platform. The official one month countdown for our Cisilion's Hybrid Enterprise event has begun. Cisilion are excited to reveal our second vendor guest speaker: Elliott Young, EMEA Director of Transformation at EMC. Cisilion is excited to announce our guest speaker: James Akrigg, Head of Technology for Partners at Microsoft. Read how Microsoft is helping your customers to understand the benefits of moving to the cloud? Cisilion are delighted to announce our third vendor speaker at #HybridIT2016: This time it’s no other than Terry Greer-King, Director of Cyber Security at Cisco. Paul Griffiths, Technical Director at Riverbed will be one of our vendor speakers sharing his insight and expertise. Riverbed has announced that SteelFusion, the industry-leading branch hyper-converged edge solution is extending its reach to Public cloud environments with support for Microsoft Azure through their StorSimple appliances and for Amazon Web Services. Purple, the intelligent spaces company, today announced its partnership with Cisilion, the global system integrator. Purple’s platform allows Cisilion to deliver real-time analytical insight and customer demographic data. Cisilion announced today it has re-achieved the Cisco® Gold Certification. To earn Gold Certification, Cisilion had to meet rigorous standards set forth by Cisco in networking competency, service, support and customer satisfaction. Cisilion loves young and enthusiastic talent, and we always welcome students to join us for their work experience. We're excited to share Generation Z thoughts about her time at Cisilion as well as her thoughts around technology. Cisilion is proud to announce Cisco has named us as Revenue Marketer of the Year 2016. Cisco announced the award winners at its annual Marketing Velocity event, taking place this week in San Diego. So what's big in 2016? 'Tech Trends 2016' predictions from insightful tech journalists included BBC’s Rory Cellan-Jones, Geoff White from Channel 4, The Sun’s Daniel Johnson and Murad Ahmed from the Financial Times. Cisilion have three members of Cisilion at the hipsterville of Europe: Berlin. Marketing girls Merit Hansmitt & Valma Tikkakoski as well as our Principal Solutions Consultant Peter Marceta share their thoughts and experiences from the German capital. Insurance expert and technology business model pioneer, Vik Renjen, SVP Sutherland Global Services, discusses how insurance companies can use the IoT to become more nimble and profitable. New E5 Plan – Game Changer For Microsoft? One of the biggest takeaways from Microsoft’s World Wide Partner Conference was the announcement of its new E5 plan for Office 365. Riverbed shows a bit more love for SDWAN as they announce the acquisition of German based Software-Defined-Networking company called Ocedo. According to Gartner, the SD-WAN market is expected to grow significantly in the next several years. It has never been a better time to explore a new company and career as we enter 2016. With a new year and opportunities for a new beginning, why not join a fantastic team with global offices and ambitious growth plans? Forrester's latest "Total Economic Impact of Office 365" provides a consise and detailed report that evaluates the costs and benefits of Microsoft's Cloud Productivity Suite in comparison to their comparable on-premise software. Cisilion's target markets include global organisations within the financial services, legal, insurance and construction sectors. Over the next five years we aim to continue our global expansion and increase revenues significantly. 2015 has been a year of growth. We launched our offices in New York and Hong Kong, we won several new awards, achieved multiple new logo wins and our team keeps on growing. Cisilion couldn’t be more excited to have won ‘Storage Project of the Year’ at the SVC Awards 2015. The ceremony was held at the Royal Garden Hotel in Kensington – a beautiful gala dinner followed by entertainment and awards. Cisilion, a leading global systems integrator, today announced that they are strengthening their Hybrid Enterprise offering with EMC to complement and extend Cisilion’s existing Data Centre and Hybrid Cloud expertise. We are ecstatic to have won “Best Enterprise UC Solution 2015” at the Comms National Awards held last night at the Grand Connaught Rooms in London. Cisilion won thanks to our large Microsoft Lync deployment at LeSoCo College. We are overjoyed to announce that Cisilion has won the coveted ‘Innovation in Revenue Marketing' award at the Cisco UK Partner Awards 2015. The winners were announced at Cisco UK’s gala dinner held after their Partner Forum at the Grange Hotel.